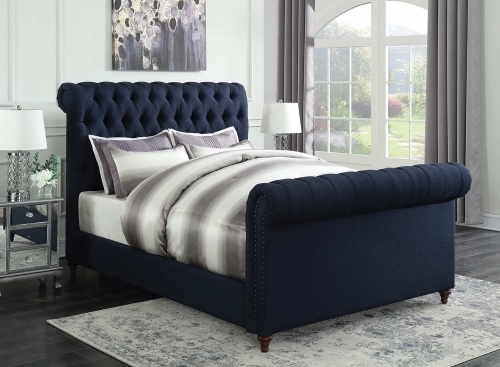 The architectural styling and the urban sophistication of the Emerson bed make it the perfect choice for a city condo or loft, or for those who prefer contemporary flair in their décor. 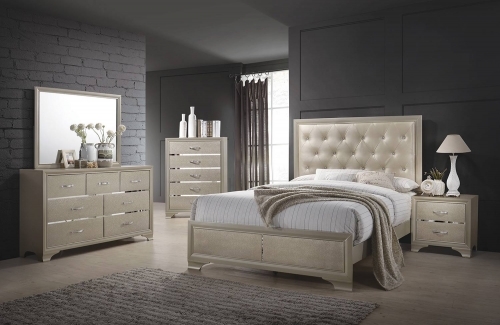 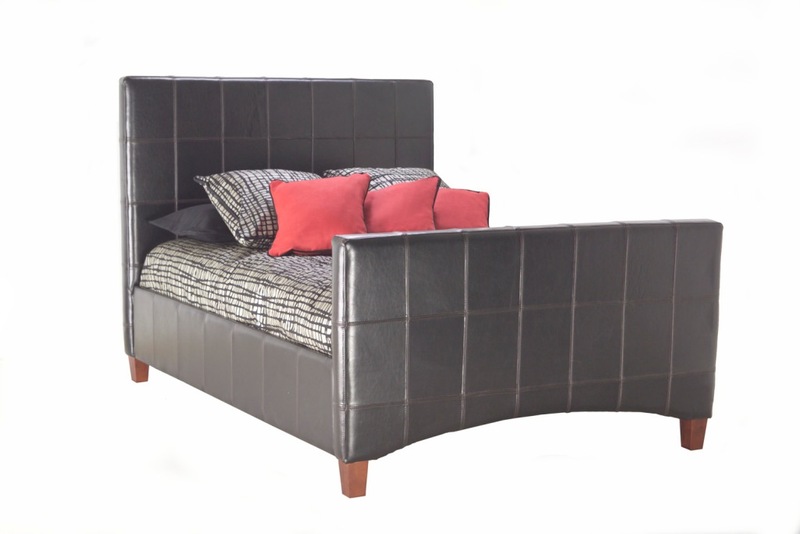 The bed is wrapped in bi-cast leather, which is leather covered with a layer of polyurethane giving it a smooth glossy finish, additional thickness and a durable coating to protect against scuffs and spills. 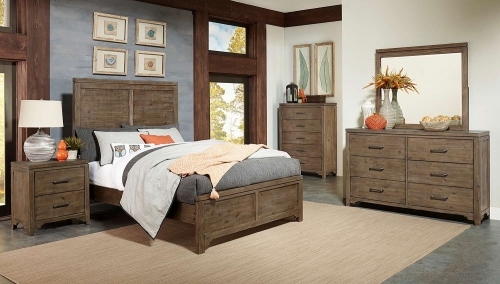 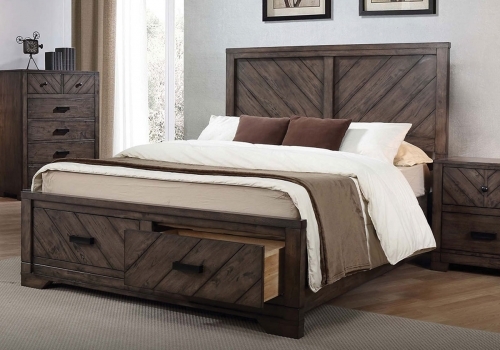 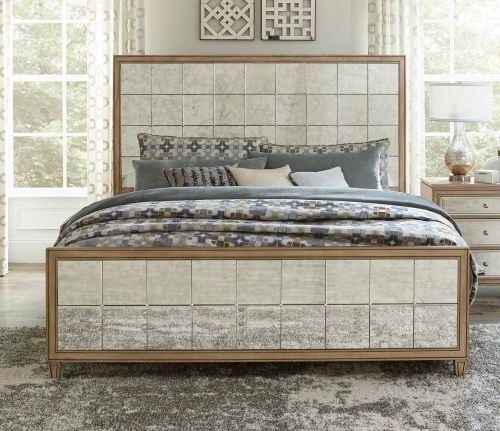 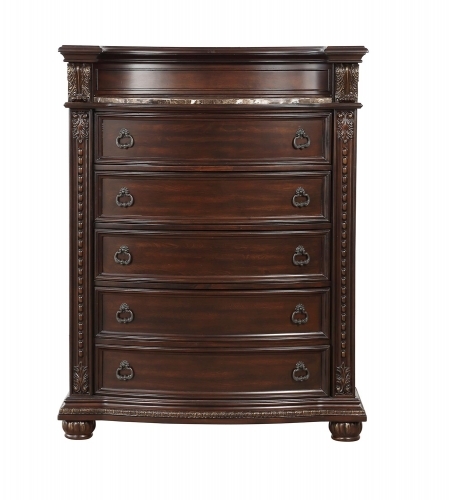 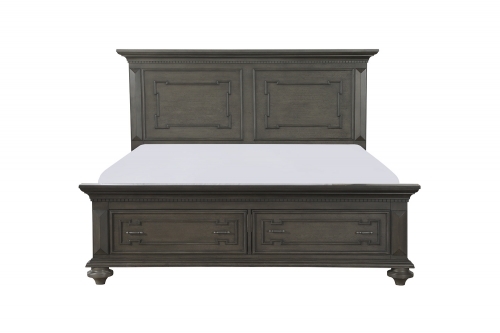 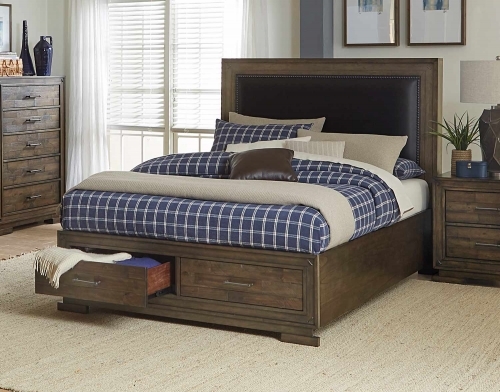 The bed definitely makes a statement with its 55 in headboard, 36 in footboard and 12 in high side rails. 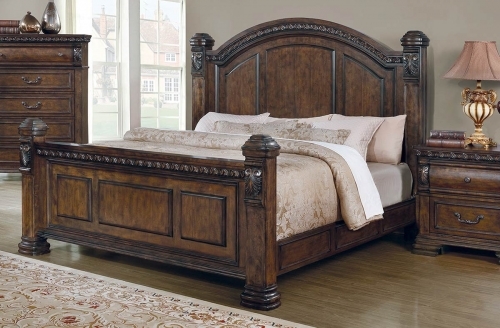 An arched curve under the footboard and 5 in tapered wood feet are the only departures from the straight lines of the geometric design. 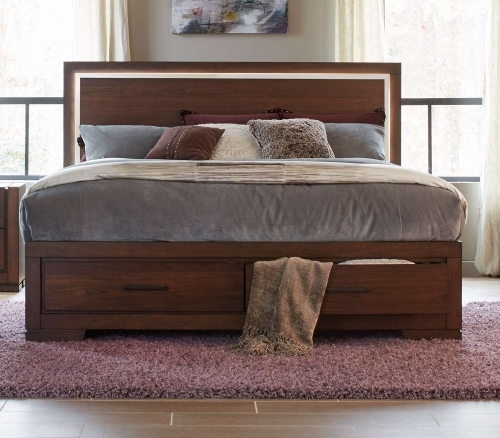 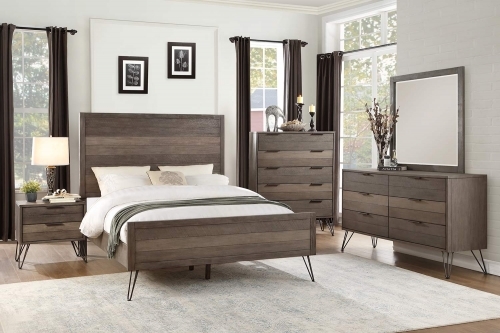 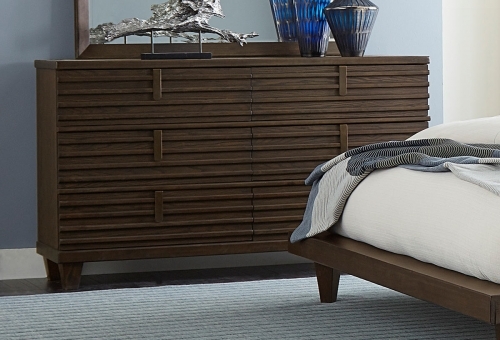 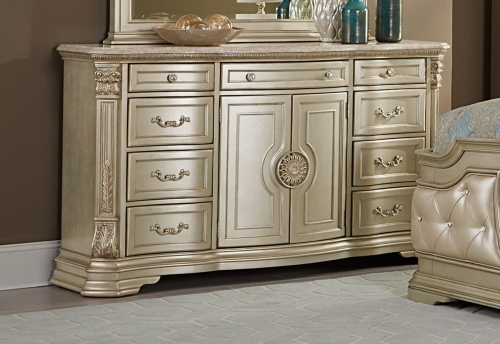 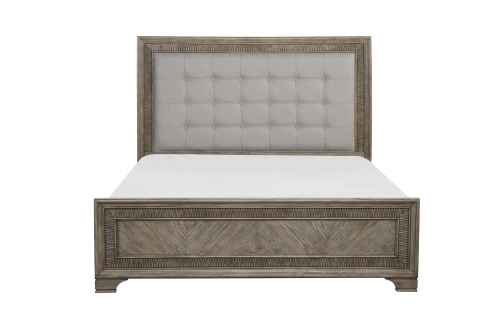 This bed is an urbane focal point from which to assemble a bedroom.